The Leica Piper pipes laser from Leica Geosystem provides the smallest professional pipe laser ever made! 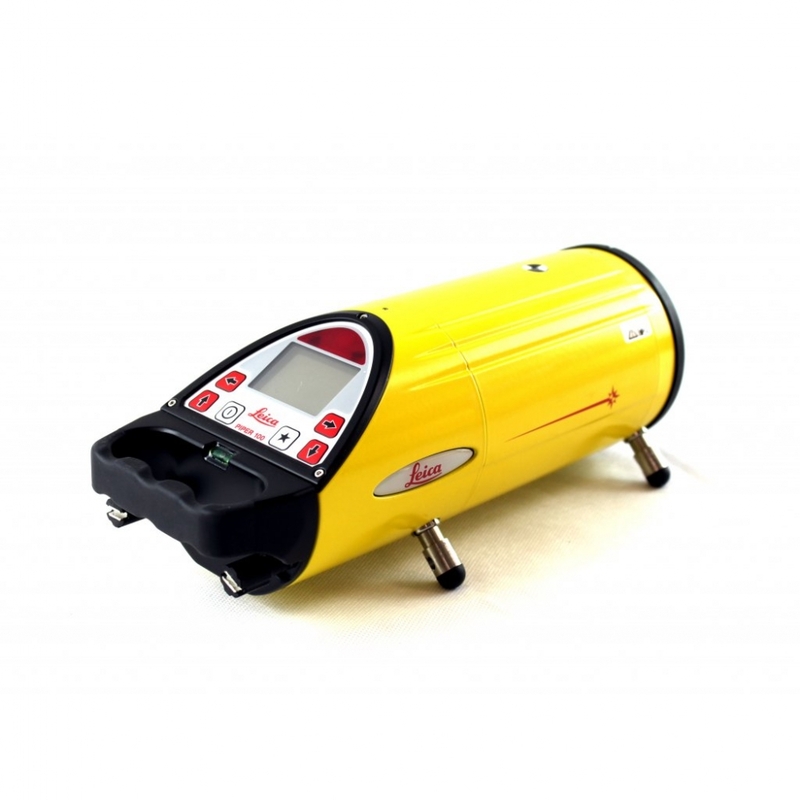 The Leica Piper range are the only pipe lasers small enough to fit inside a 100 mm (four inch) pipe. Its unique design and wide stable base make the Piper easy to set up even in the smallest invert. The Leica Piper 100 pipe laser is 100% waterproof with a positive pressure nitrogen seal and with rock solid construction incorporating cast aluminium housing, this instrument is designed for the toughest jobsite conditions. It’s reassuring to note that our hire teams value this instrument for its reliability and durability. The Leica Piper range of pipe lasers are aimed at contractors who need to lay storm pipe, sanitary sewer pipe, or gravity flow pipe. It is ideal anywhere line and grade is required. It has a large clear display that makes it easier for contractors to read grade, line position, battery status, and level indication. The intelligent battery monitors the amount of charge/discharge so that contractors always know how much battery life they have left. The Leica Piper’s bright, visible beam is focused to maintain its crisp, clear spot and size over long distances. The Leica Piper 100 has a lot of great features that make pipe laying easier. Automatic grade compensation easily identifies and corrects grade errors. It automatically self-levels over a full grade range, and eliminates the need to tip the laser for steep slopes.